Cornwall ON – It’s always good to green Cornwall. 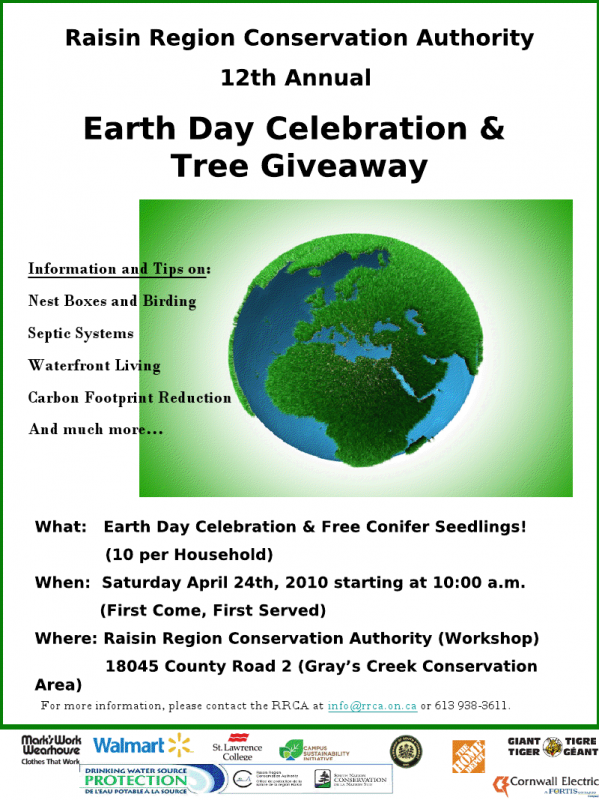 The Raisin Region Conservation Area will be giving away 10 seedlings per household as part of their 12th Annual Earth Day Celebration. 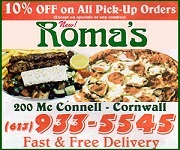 It’s this Saturday April 24th at 18045 Country Road 2 or you can phone them at 613.938.3611 for more information. May the stay there be as pleasant as the way there. Actually, my definition of hell would be being stuck in heaven for eternity with the likes of the pastor. What a freakin’ nightmare that would be. It is so good that God first changes one’s heart in order to love holiness – to love the Lord Jesus Christ, to love His word,and want to obey it. Heaven will be a blessing, an eternal blessing – because the Lord Jesus Christ will be there. Rev 22:14-15 “Blessed are they that do his commandments, that they may have right to the tree of life, and may enter in through the gates into the city. For without are dogs, and sorcerers, and whoremongers, and murderers, and idolaters, and whosoever loveth and maketh a lie”. Yo Grimalot, I’ll even put new strings on my banjo if’n God gives me a little notice. Did you know that Merl Haggard put out a new album this week? He’s seventy-two years old, and still writing good tunes and singing. I wanna go where he goes….probably hell.